Sharon started in the Affiliate Industry in 2000 working with a small start up at the time called Backcountry.com learning everything about the ECommerce industry at a time when it was like the wild west. In 2007, a trip to the Himalayas also bought a different direction and an opportunity to run the Altrec Affiliate program in Bend, Oregon. The Altrec Affiliate program went from $700,00.00 in sales to $8.5 million by 2013. Since 2013 Sharon diversified her experience entering into the OPM industry and handling a number of clients as well as consulting for Teva Sandals and Kialoa Paddleboards. Being an avid outdoors woman she went on a nine day survival course in the Arizona desert with Cody lundin from the Discovery Dual Survival show and handled his PR until 2016. 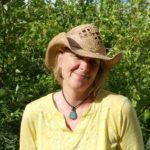 In her spare time Sharon is a Yoga teacher and you will find her practicing yoga, mountain biking, camping and hiking in the beautiful Central Oregon and around Bend and of course enjoying the amazing selection of craft beers that Bend is famous for. Abby has over 15 years of business administrative, copy editing, and advertising writing experience. 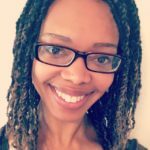 Her expertise as a writer spans across disciplines including SEO optimization, technical, academic writing, and business writing. Through the years, Abby has been able to successfully navigate career paths in telemarketing, direct sales, human resource administration, teaching, and freelance writing. Each opportunity has served to develop her professional growth and make her a more valuable team member. When not "wordsmithing" or assisting with affiliate management tasks, Abby can be found hiking the trails around the Cuyahoga Valley National Park near her home in Northeast Ohio, enjoying a yoga session, or pulling weeds at one of her three community garden plots. Some of Abby’s favorite things about her neighborhood in the summer are the live music and art festivals that she patronizes whenever possible. 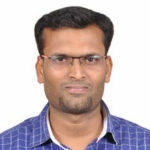 Raja is strategic, creative and analytical thinker, with a broad employment background gained internationally over twelve plus years in BPO / KPO, delivering services and business solutions for a wide range of Clients across various different industries. Raja is married, living with a beautiful family which consists of his mom and dad, his lovely wife, his smart little son (studying 1st standard) and cute daughter,who is currently going to pre-school).